Plenty of young pitchers show promise and then slide back, so it’s far too early to get visions of October dominance for those two and Jose Berrios. But they provide more than a little cause for excitement. The Twins won 85 games and earned a Wild Card berth in 2017 in large part because their offense was above-average for the course of the season and superb in a sprint-to-the-finish last two months. Their starting pitching was not what anyone would consider “good,” but it was at least markedly better than it had been during the disaster of 2016. In that 103-loss season, the Twins ranked last in the majors in ERA among starters. In 2017, they crept up to No. 19 — again, not good but at least in the neighborhood of OK. The strategy going into 2018 seemed to be to take the foundation of that relative improvement — a very good year from Ervin Santana, a promising year from Jose Berrios and a good finish from Kyle Gibson — and add to it with Jake Odorizzi and Lance Lynn. Santana hasn’t pitched yet and Lynn has had an extremely slow start, but I would maintain that when healthy, that’s a worthy starting five. But it’s also a starting five with a seemingly well-defined ceiling: maybe good enough to squeeze out a few more wins than 2017 and grab another Wild Card, but not really good enough to compete with the big arms of Houston, Cleveland and Boston or to tame the bats of the Yankees in the postseason. The true hope for anything more for these Twins rests on a few key developments: Berrios taking another step forward, plus the arrival of highly touted young arms Fernando Romero and Stephen Gonsalves. That’s a trio of 23-year-olds capable of missing a lot of bats and inducing a lot of weak contact — playoff essentials against the best offenses. Berrios has been up and down this season, but he’s gone at least seven innings without allowing a run in three starts already. His ERA (3.98) should start to go down once he figures out damage control, and he’s allowed just 32 hits and eight walks in 40.2 innings. Romero and Gonsalves, though, have been the real show stealers so far in 2018. 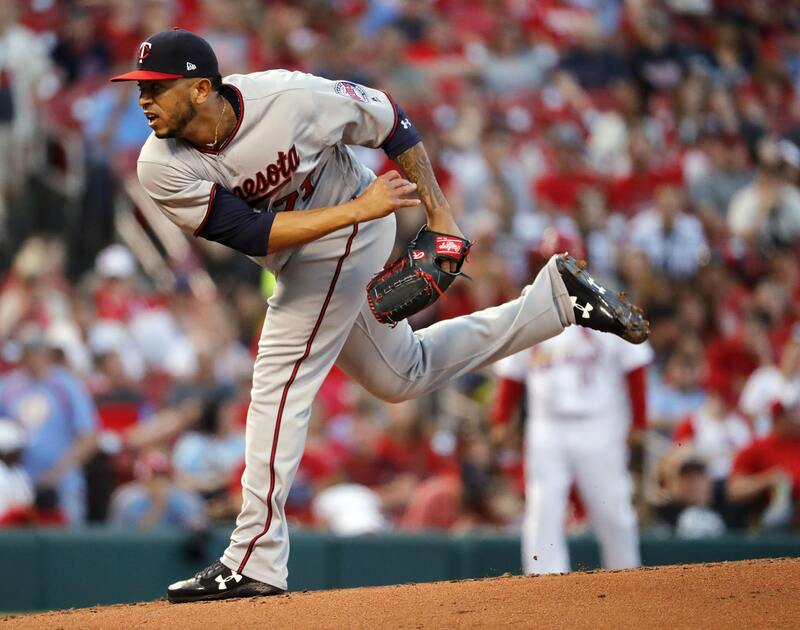 Romero threw six shutout innings against the Cardinals in a 6-0 win Monday, adding to his 5.2 shutout innings in his debut last week. The Twins were 9-16 and in the midst of a streak of 10 losses in 11 games when Romero shut down Toronto last Wednesday. They’re 5-1 in their last six games, with two of the wins coming while Romero blazed 97 mph fastballs and dropped video game breaking balls on good hitters. The overall record is now 14-17, and at least some semblance of faith has been restored. Gonsalves, a 6-5 left-hander, hasn’t arrived with the big club yet, but he’s pounding on the door. He started the year 3-0 with a 1.77 ERA at Double-A Chattanooga, earning a quick promotion to Triple-A Rochester. So far there, he’s 2-0 with a 0.63 ERA and just earned Pitcher of the Week honors. For the year, he has 39 strikeouts while allowing just 15 hits in 34.2 innings spanning both levels. Granted, we’ve only seen two MLB starts from Romero and Gonsalves has yet to make his debut. Plenty of young pitchers show promise and then slide back, so it’s far too early to get visions of October dominance for those two and Berrios. But Santana, Lynn, Odorizzi and Gibson are not under contract beyond this season. Another bat-misser, Michael Pineda, is signed through 2019 as he continues to recover from Tommy John surgery. It’s hard not to think about a rotation soon anchored by those types of pitchers — and a chance for the Twins to have a starting staff that is more than just adequate.